I've been busy reading lately. And when I say busy I mean I've spent just about every semi-quiet moment reading. The last three books I've read have been so captivating that my kindle seems to be glued to my palm or its charger. I'm going to review each of the last three books I read because each of them should be on your Summer reading list if you haven't already had the pleasure of reading them. I'll start with A Man Called Ove by Fredrik Backman. 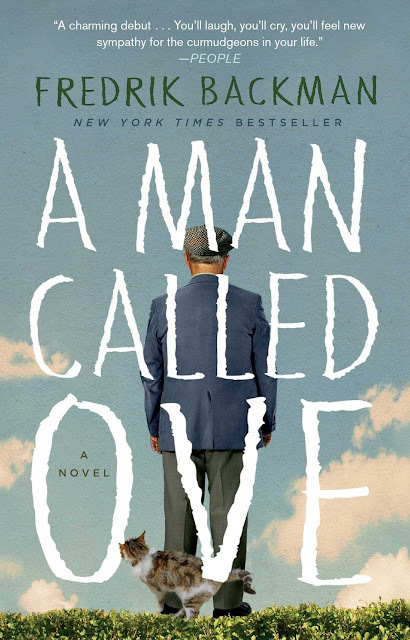 Character driven and emotionally stimulating; A Man Called Ove reveals the later life story and inner thoughts of a Swedish curmudgeon. The author described the main character as, "the most inflexible man in the world." Laced with metaphor, this well-written novel follows a man whom neighbors look at begrudgingly due to his black and white interpretation of life. He lives by his own strict moral code and has little to no tolerance for deviation. A handyman and private romantic, his life is turned upside down when his wife passes away from cancer. The story begins when Ove wants to end his own life because he sees no remaining purpose since his wife's passing. It continues as Ove runs into unexpected suicide delays and simultaneously creates a community of people who come to love him. I loved how the author, Fredrik Backman, described Ove. He painted a picture of a grumpy old man on the surface but as you got to know him and his story he transforms into a likable, and even relatable character. He befriends the most unlikely of characters including, a pregnant Iranian woman and a young man who, after talking to Ove, comes out of the closet to his very conservative father. Ove once lived a life of relative solitude and structure, eating the same meal night after night and sticking to the same morning routine for years. It is after the death of his beloved wife, a time which he seems desperate to escape his earthly body, when he gains an entirely new appreciation for life. One of my very favorite things about the novel was the manner in which Backman described the intense love that Ove had for his wife. He made it obvious that opposites can attract when he said, "He was black and white and she was all his color." It was because of that intense love, that Ove felt like he lacked purpose in the world without his sweetheart. "He misses her so much that sometimes he can't bear existing in his own body." I remember reading that and thinking if anything were to ever happen to my husband that is exactly how I would feel. Backman continued to lather up the human insights and when he wrote, "We fear it [death], yet most of us fear more than anything that it may take someone other than ourselves. For the greatest fear of death is that it will pass us by. And leave us there alone." It was because of the metaphoric language and the deep unveiling of the human spirit that I loved this book. It's also why I'm recommending it for your summer reading list. Do you love to read? Join me on Goodreads where I track and document almost everything I'm reading. I'd love to hear some of your Summer reading suggestions.